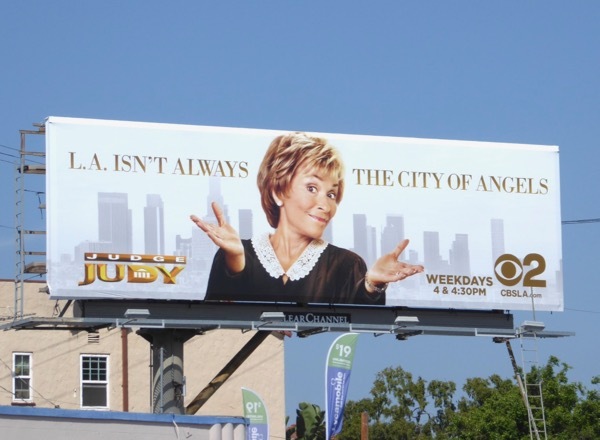 When the sun doesn't shine in L.A. it certainly doesn't feel like a City of Angels, so on this gloomy day let's hope these Judge Judy billboards from years past provide some cheer. 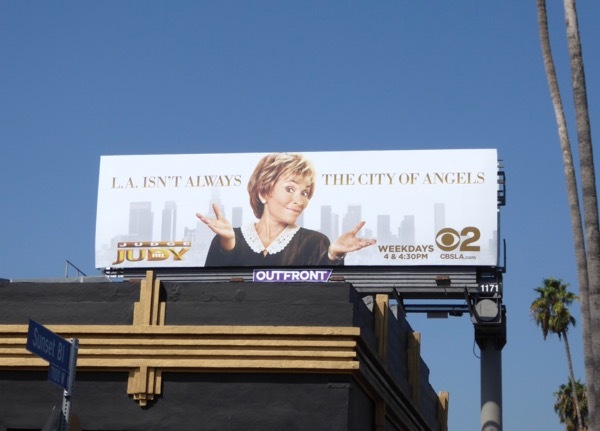 Now in its twenty-third season, Judge Judy Sheindlin, who is a retired Manhattan family court judge presides over an American arbitration-based reality court show and has kept daytime viewers entertained for years since September 1996 with her swift, no-nonsense judgements. 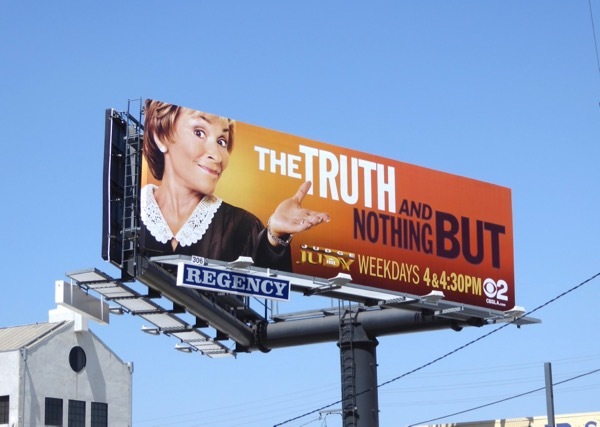 'The truth and nothing but' season twenty-one billboard was spied along Olympic Boulevard on August 11, 2016. 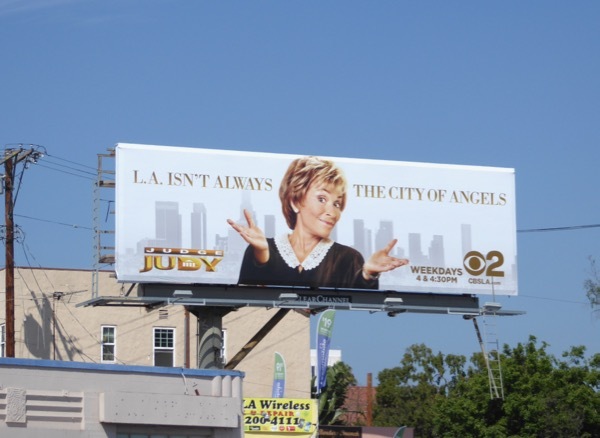 Meanwhile the season twenty-two 'L.A. 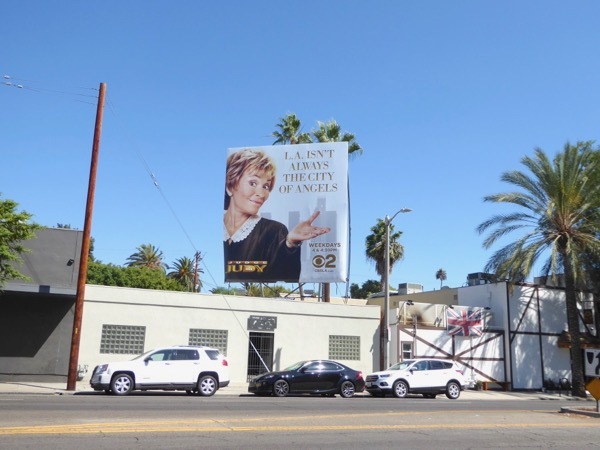 isn't always the City of Angels' billboards were spotted along Sunset Boulevard, La Brea Avenue and Highland Avenue from September 7 to September 13, 2017. 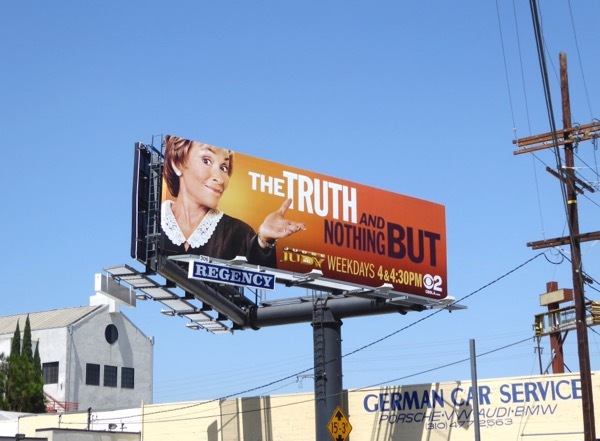 Daily Billboard wonders what the pop culture icon thinks of the President and his associates current legal troubles, and one reality star to another, what legal advice she would offer. Maybe "tell the truth and nothing but" for once.